Alumasc’s well established range of Harmer products provides a unique single source for innovative market leading solutions across the whole spectrum of rainwater handling and building drainage, with alternative ranges in metal and plastic. Technically sophisticated ranges that ensure trouble-free performance for all roof drainage applications in both warm and inverted roof construction, Harmer’s flat roof drainage systems combine innovative product design with full industry compliance to meet the needs of rainwater drainage in any construction project necessary. 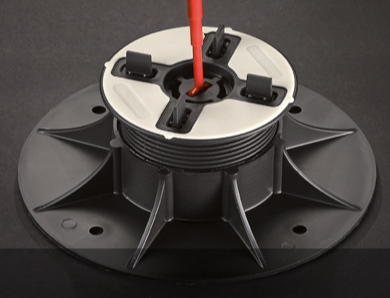 Suitable for all regular flat roof drainage applications, these high-performance metal roof outlets come in a range of options in lightweight, non-corrosive and highly durable materials. Harmer Detail – aluminium outlets for balconies, gullies, car parks etc. Sometimes finding the right drainage systems can be difficult, but for any application where awkward detailing is apparent the Harmer range of detail flat roof drains could be the solution. Cast iron drainage systems offer extreme strength and durability so are ideal for load bearing applications, with the Harmer range offering unparalleled longevity for flat roof drainage systems that are built to last. 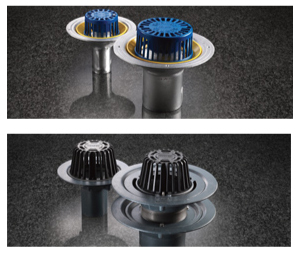 Insulated outlets prevent condensation forming on the underside which makes them ideal in metal deck warm and inverted roof installations, with this range being available in plenty of configurations to suit numerous drainage applications. Efficient flat roof drainage all depends on having the right products to suit, and luckily with so many flat roof drains to choose from Harmer offers everything you could need to create rainwater drainage systems that perform. Harmer Modulock is a fully engineered levelling, raised pedestal system for supporting paving slabs, timber or plywood sheet decking at varying heights from the sub-structure. Allows for accommodation of services and pipework beneath the floor such as electricity, gas & drainage channels etc.